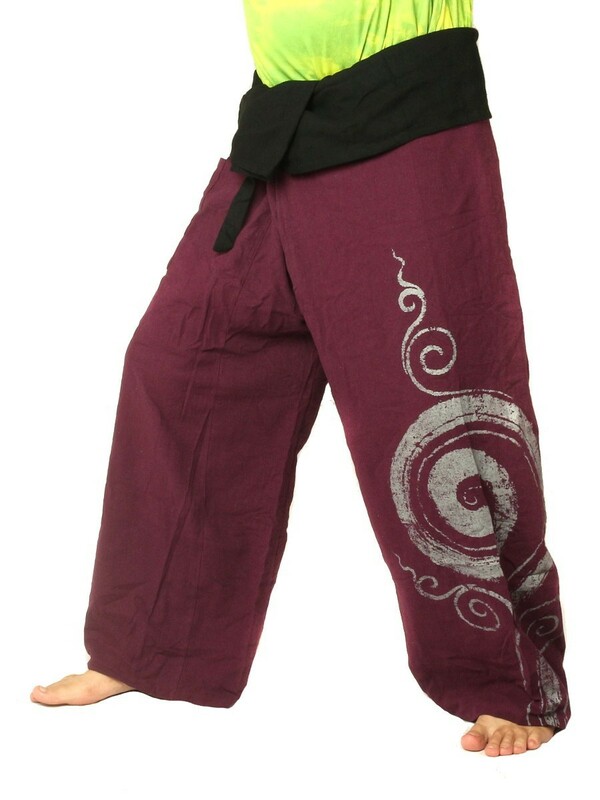 &#9989; Thai fisherman wrap pants, two tone 100% high qualitiy thick cotton with one side pocket and two waist ties on the ba. ✅ Measurements: Size L: Waist: 54 (circumference unfolded) inches. Inseam: 21 inches. Total pants length: 41 inches. 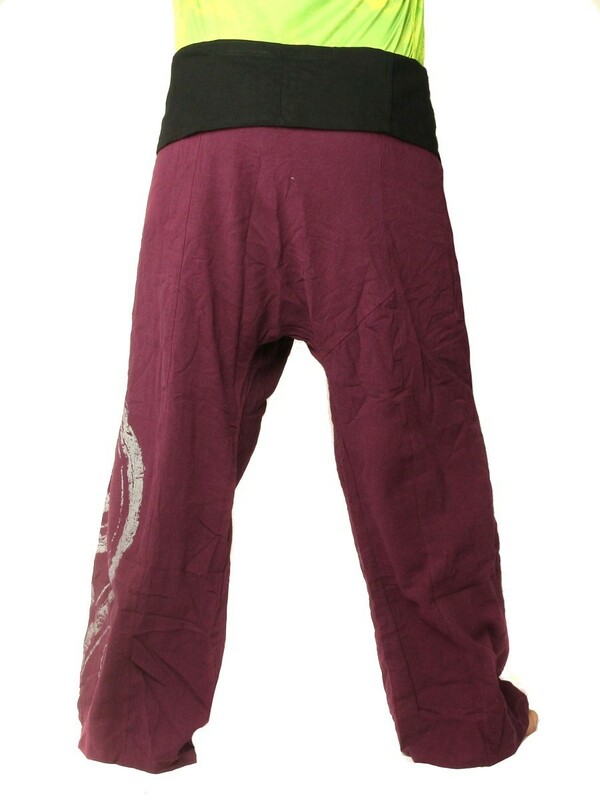 Size X-Long: Waist: 56 (circumference unfolded) inches. Inseam: 26 inches. Total pants length: 46 inches. ✅ For orientation: Male model on product picture is about 5 feet 9 tall. Please compare measurements (espacially inseam) with a pants you own. Care instructions: see product description below. 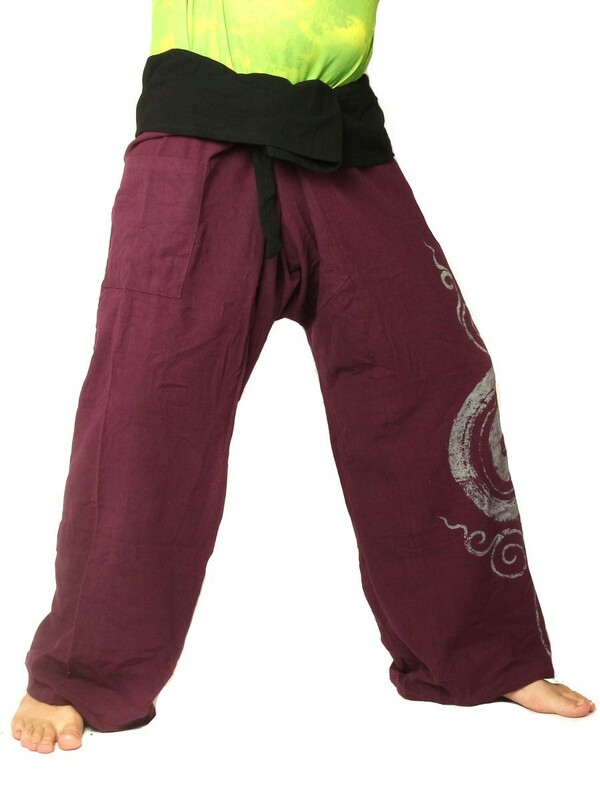 Made in Thailand with LoveBoho hippie style thai fisherman wrap pants with durable print and extra sturdy cotton.Excellent for times when loose fit and comfortable is a must.Ideal as: ✅ casual pants✅ comfy summer pants✅ sauna✅ spa✅ meditation✅ leisure wearYour perfect companion for✅ festivals and concerts✅ backpacking✅ beach bumming✅ loungingCare instructions:To set colors in clothes and mantain vibrant colors please wash the first time as cold as possible alone orwith other clothing that is of a very similar color.Add 1/4 of a cup of iodized salt to the washing machine on top of the clothing.We recommned using gentle cycle and if possible not to use a dryer but to hang dry.